We provide a wide range of services from routine preventative care, including immunizations, well child checks, and men’s and women’s health physicals, as well as management of acute and chronic diseases, dental care, mental health counseling, substance abuse counseling, and pharmacy services. Our Medical Center offers primary healthcare for the whole family - from birth to geriatrics. Dental care is extremely important and we offer a full range of dental care services. 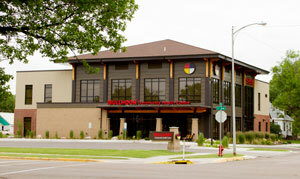 Bullhook Community Medical Center offers a wide array of mental health services. The convenience of our on-site pharmacy will help save you time and money. 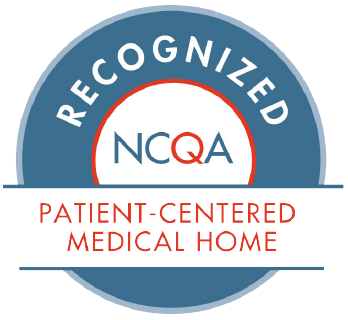 Bullhook Community Health Center is a certified Patient Centered Medical Home (PCMH), which means that you are the hub of your health care. PCMH puts YOU, the patient at the center of the health care system. Family physicians and Family Nurse Practitioners are training in providing health care services to people of all ages. We provide a wide range of services from routine preventative care, including immunizations, well child checks, and men’s and women’s health physicals, as well as management of acute and chronic diseases, dental care, mental health counseling, substance abuse counseling, and pharmacy services. When you visit Bullhook Community Health Center for an appointment please bring your photo ID and insurance card with you, every time. Click HERE for Patient Forms! Did you know? We provide services to all persons, regardless of the person's ability to pay. We provide a wide range of services from routine preventative care, including immunizations, well child checks, and men’s and women’s health physicals, as well as management of acute and chronic diseases, dental care, mental health counseling, substance abuse counseling, and pharmacy services. Would you like to see if you're eligible for a discount on your services? Please complete this FORM! * This is not an exhaustive list of symptoms. If you are uncertain whether you should be seen immediately, please call us during normal operating hours, or contact 1-866-252-9213 after hours. Please call us today to schedule an appointment if you have not had any annual exams or screenings in the last twelve months for your physical and/or oral health. We provide LIMITED ENGLISH PROFICIENCY SERVICES. If English is not your primary language and you have difficulty communicating effectively in English, you may need an interpreter or document translation in order to have meaningful access to our services. Bullhook offers Instant Access to Interpreters. A Bullhook Community Health Center employee will assist you.